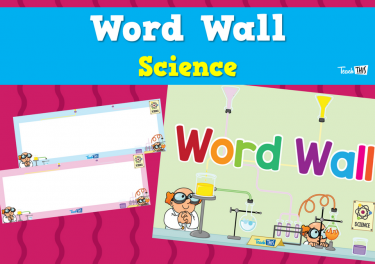 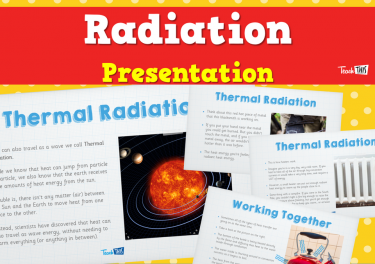 This unit comprises 8 lessons covering the Australian Curriculum for Year 3 Physical Science. 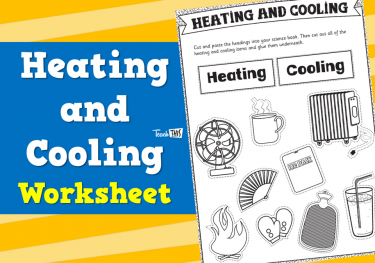 This unit covers heat energy, how it’s made, and how it travels through solids, liquids and gases. 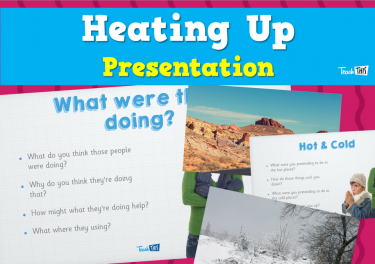 Investigate heat energy and how it is produced. 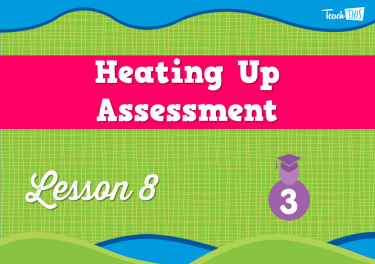 Learn how heat is measured. 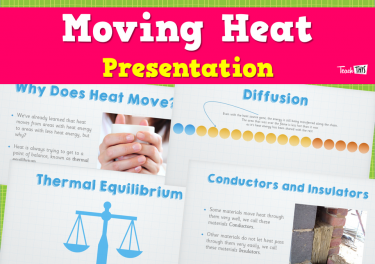 Investigate why heat travels from warm areas to colder areas (thermal equilibrium). 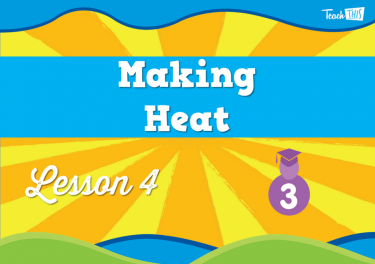 Learn the difference between thermal conductors and insulators. 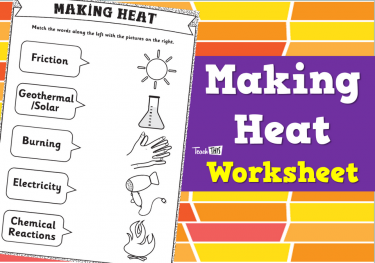 Learn the different ways heat travels through solids, liquids and gases. 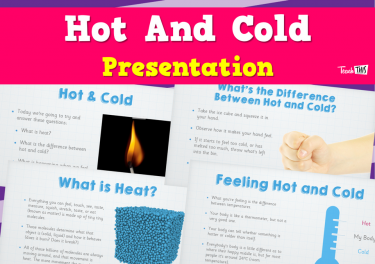 In this lesson students will be introduced to hot and cold and imagine what it would feel like. 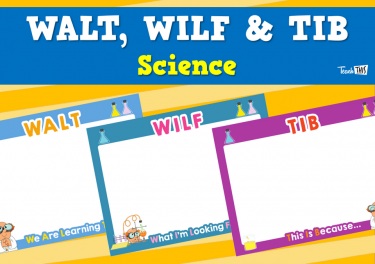 In this lesson students will investigate what hot and cold is, they will also look at what this looks like as tiny molecules. 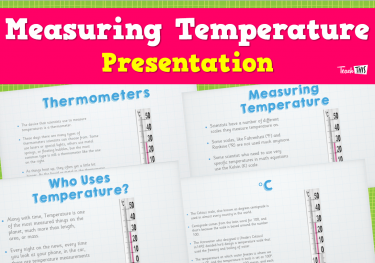 In this lesson students will learn about how and why we measure temperature. 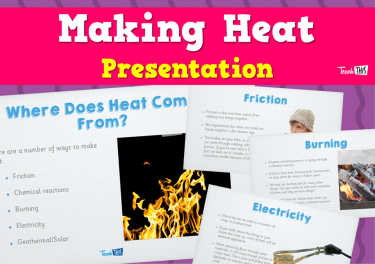 In this lesson students will investigate the different ways heat can be generated. 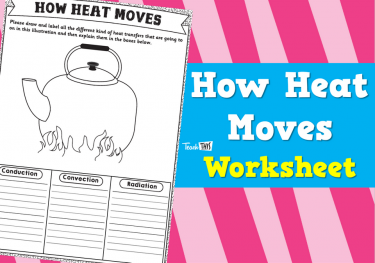 In this lesson students will investigate how heat moves from one place to another. 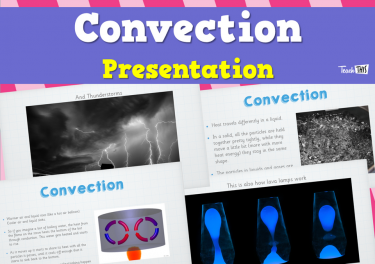 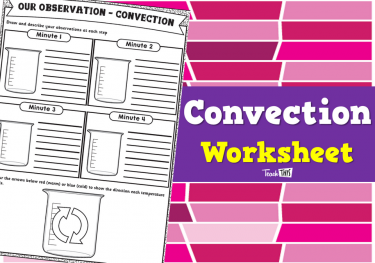 In this lesson students will learn about convection, which is a way heat travels through a fluid, like air or water. In this lesson students will learn about radiation, another way heat moves. 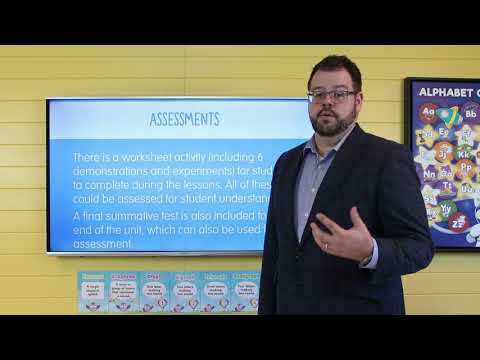 In this lesson students will undertake a quiz on all the things they have learnt in this unit. 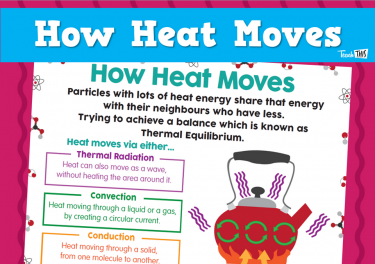 Where Does Heat Come From?